Miss out on Sled Island merch during the festival? It's now available online! Find limited-edition, hand-silkscreened posters for your favourite Sled Island 2017 artists including DJ Quik, Cloud Nothings, Wavves, Waxahatchee, MONO, Low, Silver Apples, Shonen Knife, Wolves In The Throne Room, Land of Talk, Guitar Wolf and Tyvek. We also have Sled Island 2017 t-shirts, tanks and tote bags! 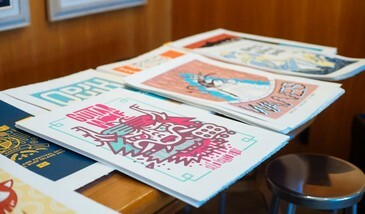 Printing by Burnt Toast Studio.